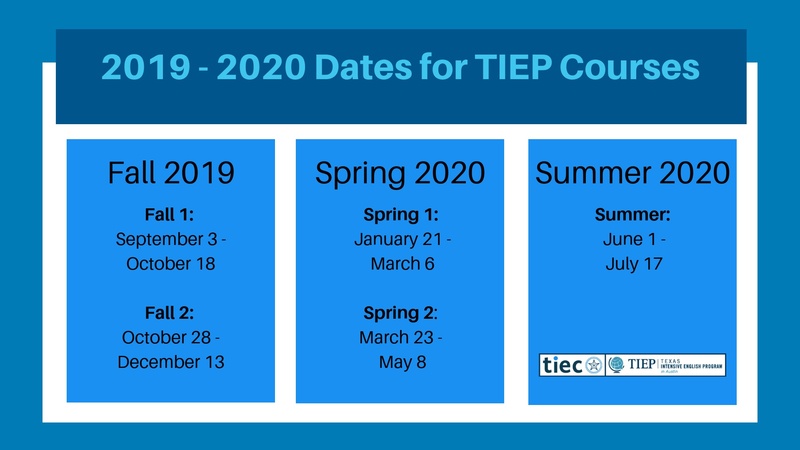 conditional admission and TOEFL waivers to students completing the highest language level at TIEP. 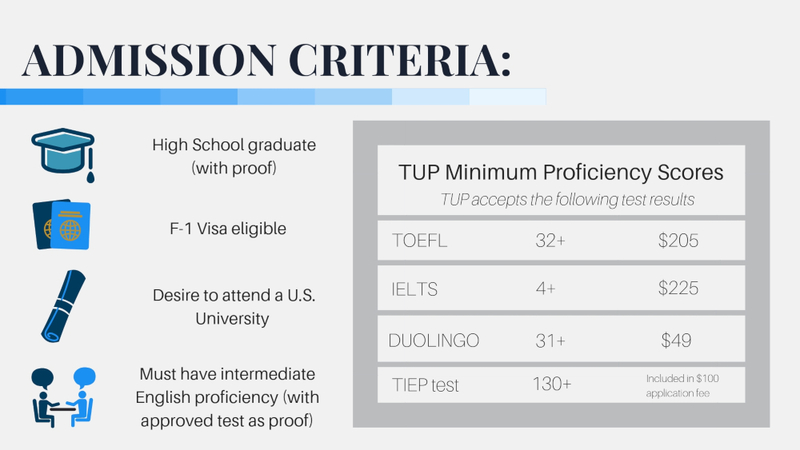 The Texas University Pathway program is for high school graduates of intermediate or higher English proficiency. 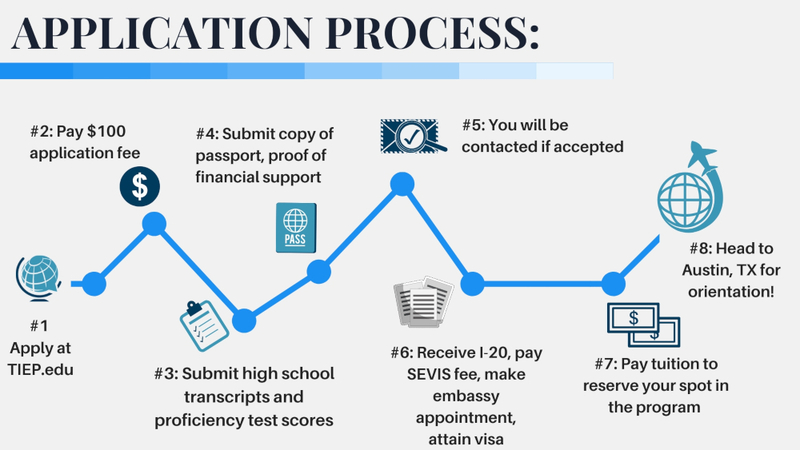 Your high school transcript and an English proficiency score are required for application and admission. If you do not have a score, you may take our online placement test. A link to the test will be sent to you after you have applied and paid the nonrefundable application fee. Click here to sign up for more information about our Texas University Pathway program. 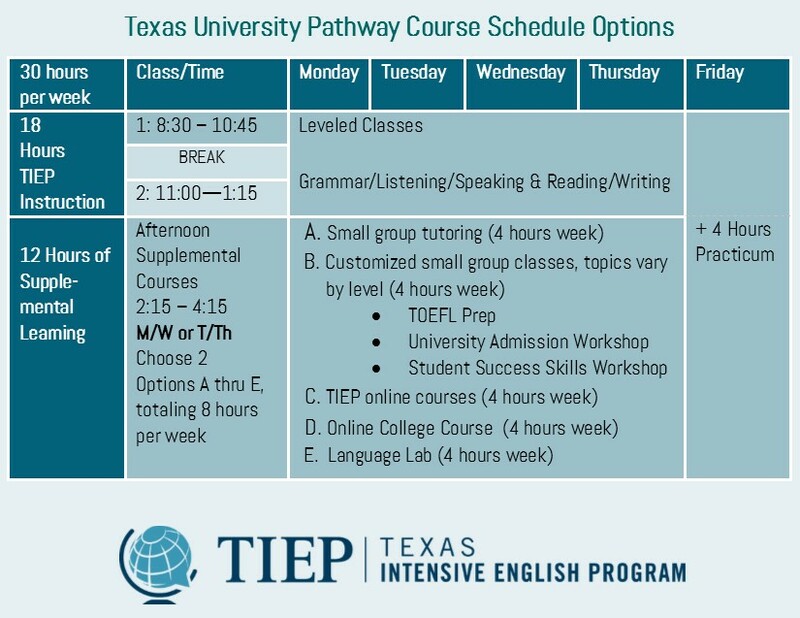 The Texas University Pathway costs $5,000 per seven week term with a minimum registration of two seven-week terms (approximately 1 semester in fall or spring).